Assistant professors Alen Alexanderian in the Department of Mathematics and Jonathan Duggins in the Department of Statistics have received the College of Sciences' 2018-19 Leroy and Elva Martin Award for Teaching Excellence. The award, which recognizes professors’ outstanding contributions to the college’s teaching mission, was created in 2001 by the late LeRoy Martin Jr., a longtime NC State math professor, to honor his parents, Elva and LeRoy Martin. NC State’s strategic plan shapes the university’s future through measurable goals for the success of faculty, staff and students. Since the last report card in 2017, the university has achieved significant goals and made great progress toward others, including increasing philanthropic support. 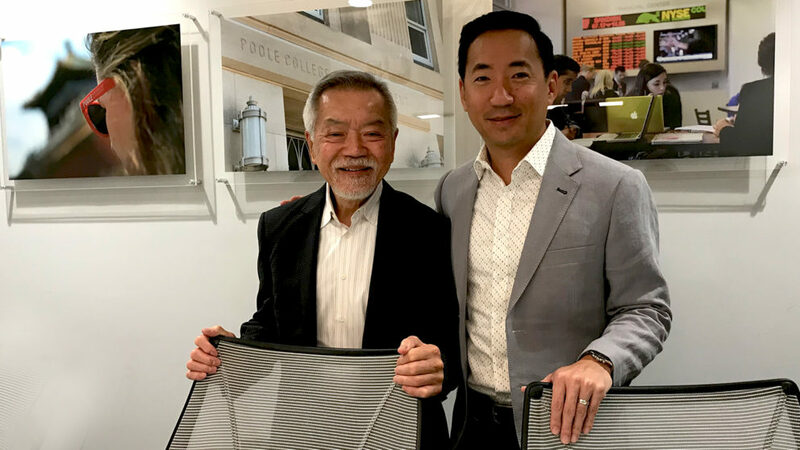 After endowing a scholarship at Poole College of Management in memory of his mother, alumnus Matt Hong decided to accelerate the process of creating a second endowment in honor of his father, so that he and his dad could enjoy seeing the impact of giving together. 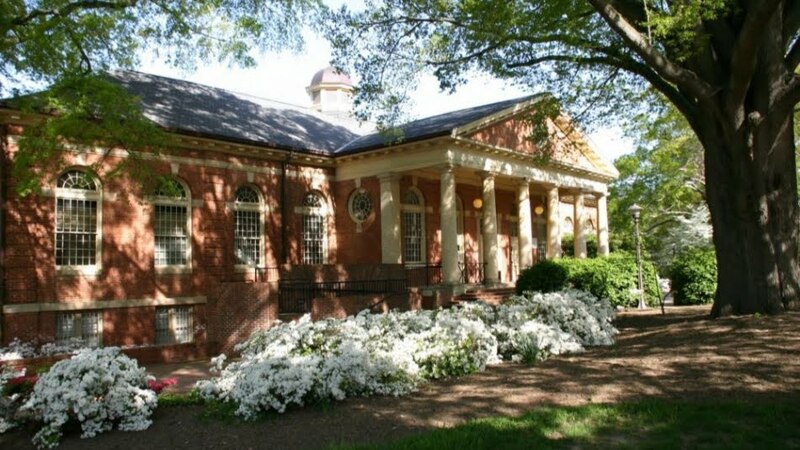 The new fund will support faculty excellence in the college. Sarah Desmarais, an associate professor in NC State’s Applied Social and Community Psychology Program since 2012, leads the public service and research center that supports family-centered practices through training, technical assistance, evaluation and research. 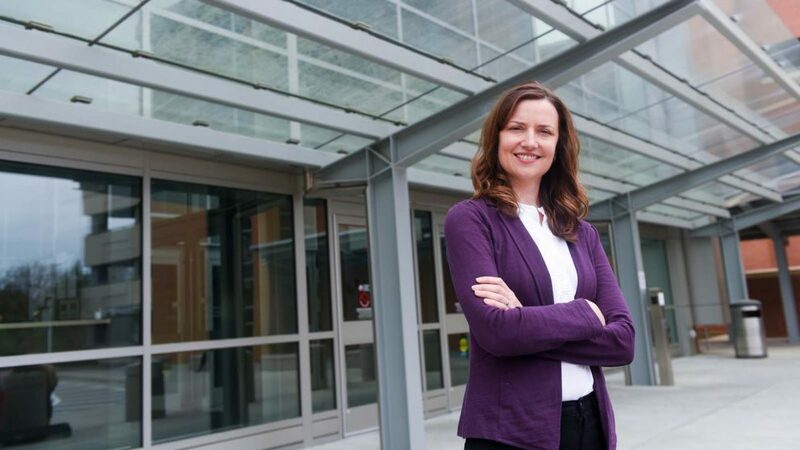 Desmarais has received numerous awards and recognition for her leadership in research and engagement, including Alumni Association honors. She was selected as a member of the 2015-16 University Faculty Scholars Program, which benefited from private support. 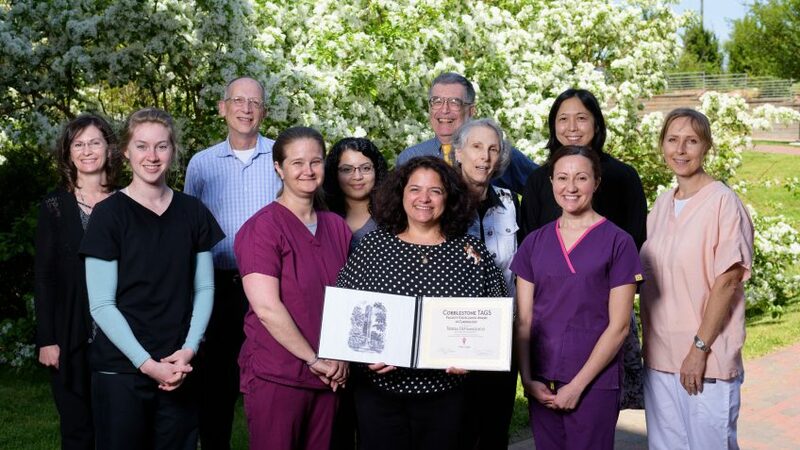 Teresa DeFrancesco, NC State College of Veterinary Medicine professor of cardiology and ICU critical care, is the recipient of the newly established Cobblestone TAGS Faculty Excellence Award in Cardiology. The award — created and funded by Deborah and Paul Resnick, longtime supporters of the college and the NC State Veterinary Hospital — recognizes faculty for excellence in both providing compassionate patient care and advancing heart disease research. John and Nell Leazar's bequest to benefit horticultural sciences makes a meaningful difference in a department that played a significant role in both of their lives and honors their deep family connections to NC State. 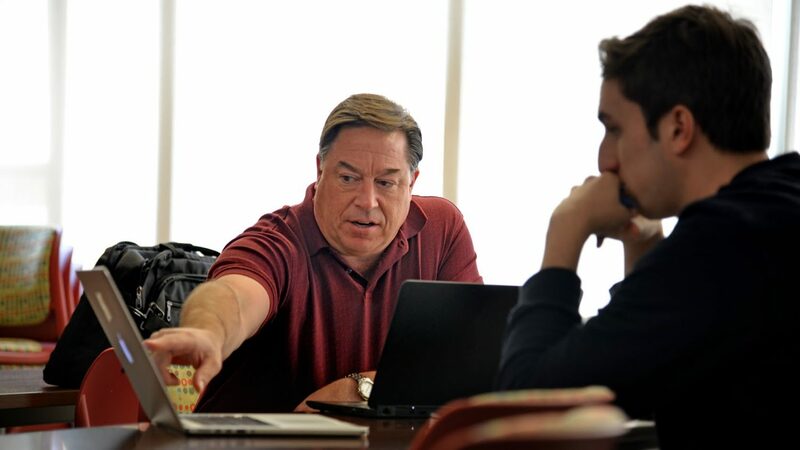 Dr. Jon Carr, Jenkins Distinguished Professor of Entrepreneurship at the Poole College of Management, is all in when it comes to building partnerships and engaging in research to advance entrepreneurship at NC State. 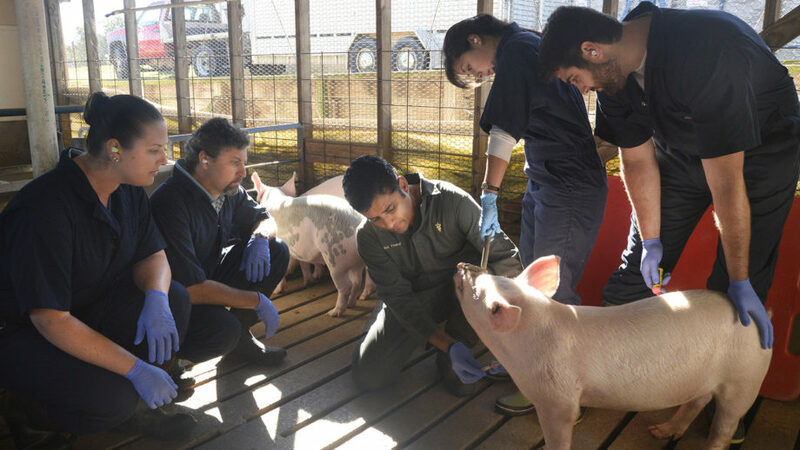 A seed grant from NC State's Office of Global Engagement boosted the infectious disease research of Sid Thakur, associate professor in the College of Veterinary Medicine's Department of Population Health and Pathobiology and associate director at the Comparative Medicine Institute (CMI). Thakur focuses on antimicrobial drug resistance that impacts humans and animals. Dr. Jose “Trino” Ascencio-Ibanez, assistant professor in the Department of Molecular and Structural Biochemistry, and his team are researching ways to combat viruses threatening cassava, one of the most important crops in Africa. 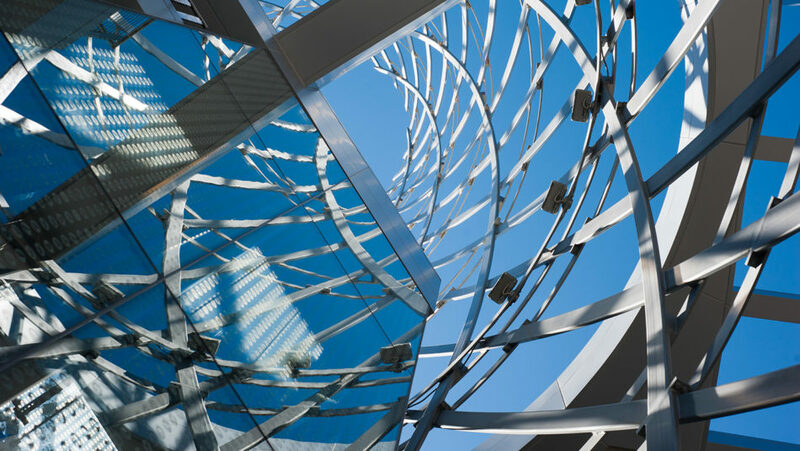 Grants from the Bill and Melinda Gates Foundation and the National Science Foundation-Partnerships for International Research and Education support their efforts. Dr. Francis de los Reyes of the Department of Civil, Construction and Environmental Engineering — who leads NC State's global water sanitation and hygiene faculty cluster — received $1.2 million from the Bill and Melinda Gates Foundation to improve and test the market for a novel pit latrine emptying device, the Flexcrevator. The Flexcrevator is the newest generation of a series of prototypes, with the first design invented by NC State alumnus Tate Rogers.